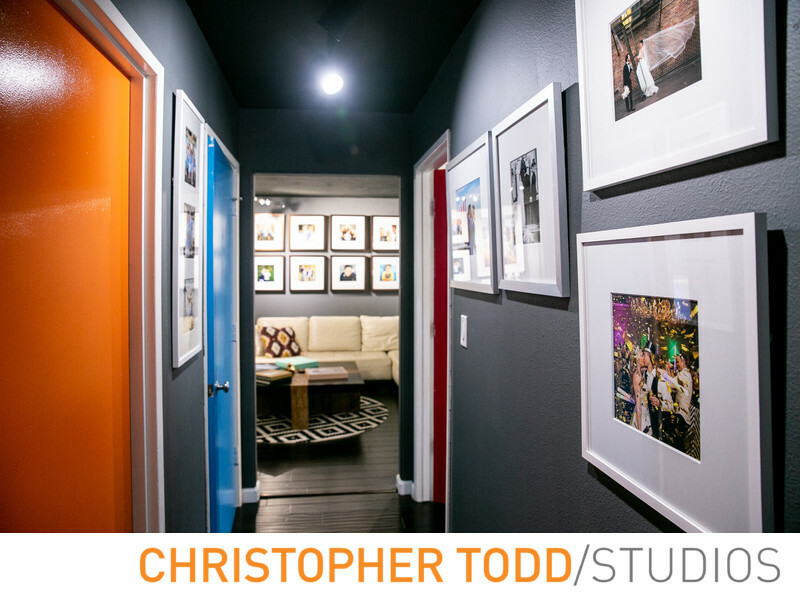 Welcome to Christopher Todd Studios. A place to meet, see our products, and have studio portraits taken. 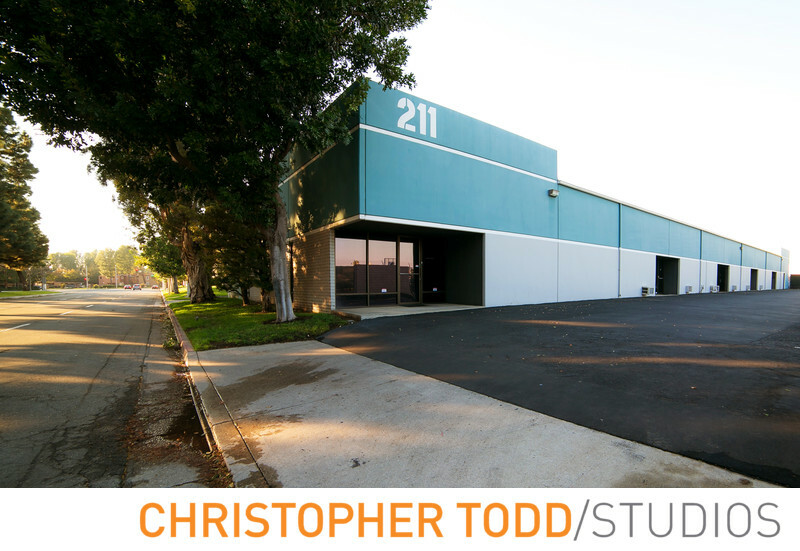 Our photography studio is located in the heart of Orange County. Our convenient location 211 E. Columbine Ave. Ste. D Santa Ana, CA 92707, less than a half mile from the MacArthur exit on the 55 Freeway or the Bristol exit on the 405 freeway. Our professional portrait studio is large. With over 1500 sq feet of actual shooting space we offer a controlled environment for newborn photography, family portraits, professional headshots, and engagement sessions. When you come to our studio we offer a warm and welcoming environment. We want you to feel at home and at ease. Our studio is a place to connect. Engaged couples looking for a wedding photographer can come in for a free consultation. During this time we meet and talk about your upcoming wedding day. All your wants and needs that will make your dreams come true. We start by getting to know you in our relaxed front room. Here we get to know each other over a glass of champagne. This is also a great time to see our work in person. While you look over one of our custom albums of a real wedding we walk you through the process and answer all your questions. Our studio can accommodate small and large groups. We are one of the few studios that offers green screen photography. 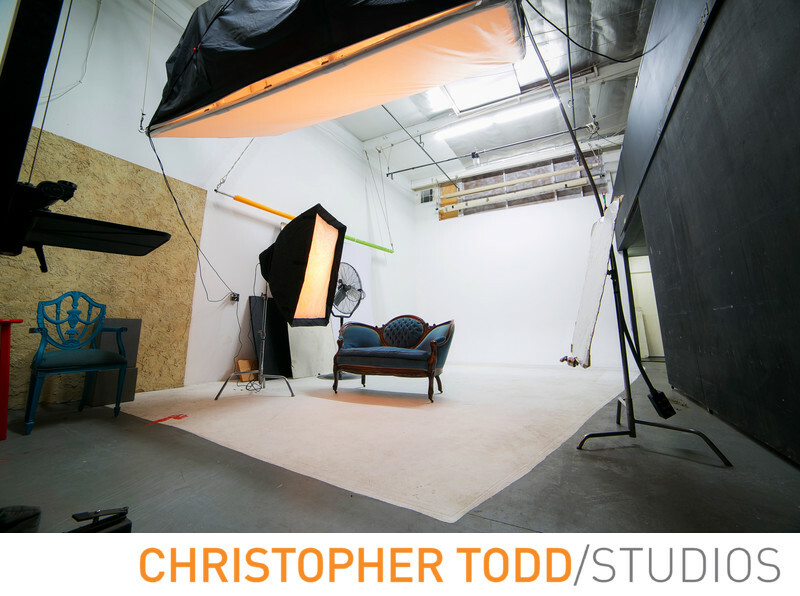 Professionals looking to update business headshots or company profiles find our studio convenient and easy. Family's love our relaxed friendly environment for their portrait sessions. We also provide stand out headshots for those perusing a modeling and actor career. Come in today for a consultation for your up coming photography needs. We specialize in family portraits, headshots, and event photography. Find us in Santa Ana, CA. Sometimes Clients miss our driveway. We are the 3rd driveway on the right after you turn onto Columbine Avenue. 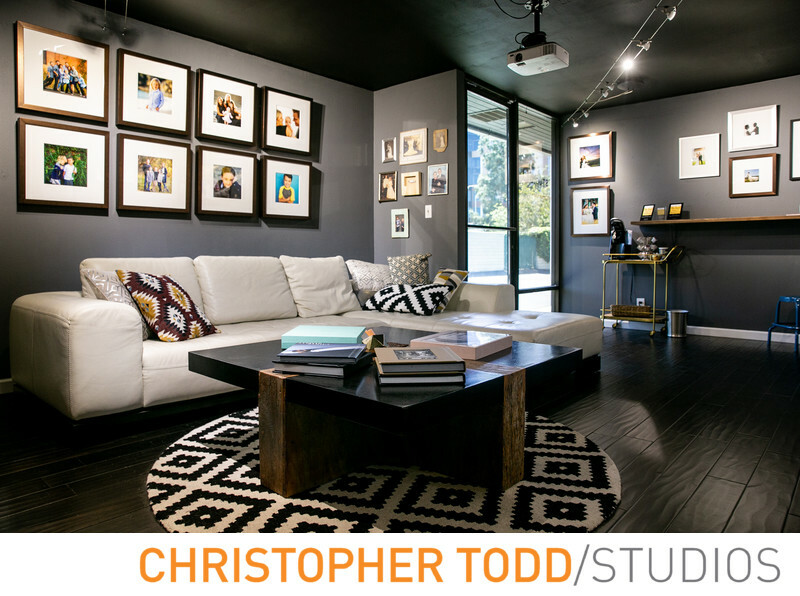 The wall art on display is the work of Christopher Todd. In addition, these are the custom frames we sell. 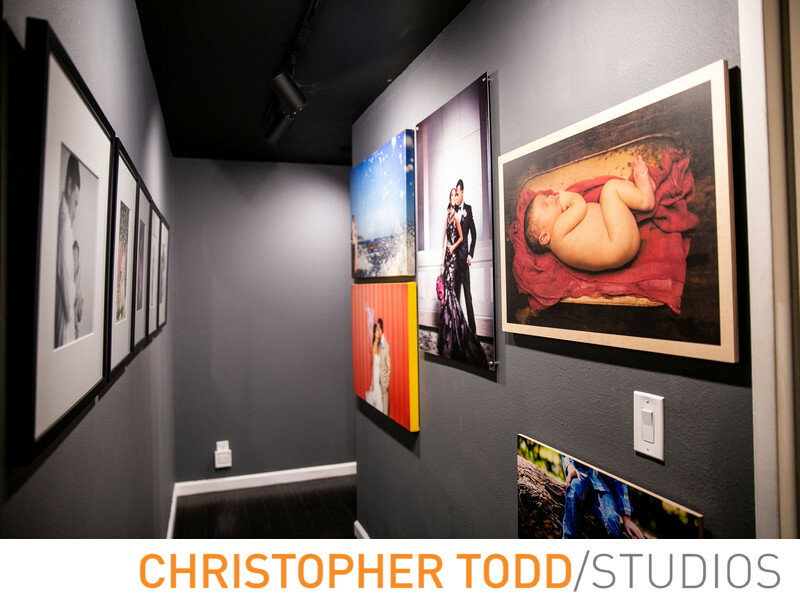 We are one of the few photography studios in Orange County that print in house. Our custom albums are handmade in Italy. We also recommend a folio box. This is a unique way of showing off your matted prints. Dubbed "The Gallery" is set up to give you printing ideas for your photos. 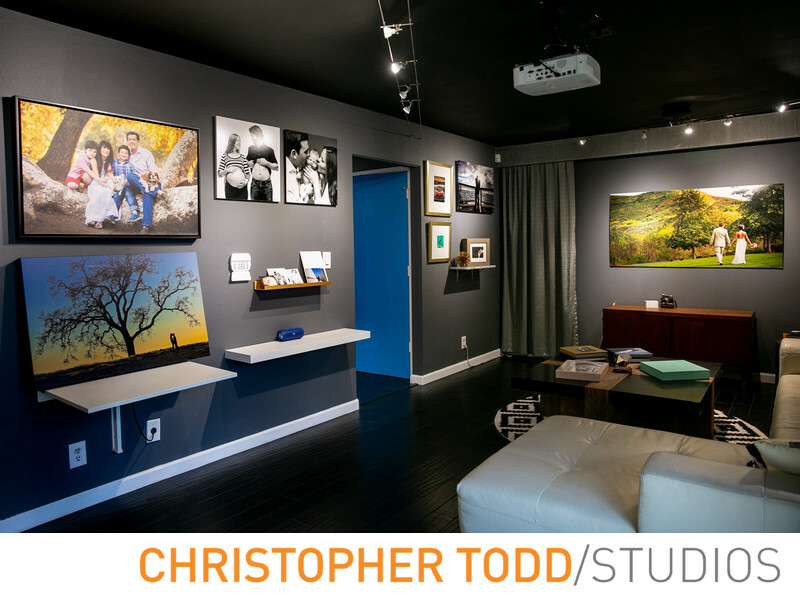 The Studio space is a photographer's playground. We have all the gear necessary to create just about any image.